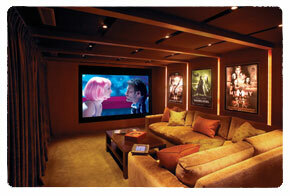 Order Home Theater installation New York and Home Automation New York. 5163co INC offers a complex of various integration services in commercial and residential setting since 2001 around TV installation New York. Our trained, certified professionals cover every aspect of your project from design to installation. Throughout the time of our operation we have completed over a thousand projects in New York, New Jersey and Connecticut. We specialize in Home Theater, Multi-Room Music, Lighting and Other Automation Services, Complex Access Control and Surveillance systems. 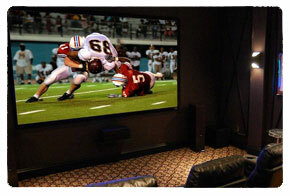 Home Theater underlines careful design and selection of video components, such as Rear or Front Projector, LCD, LED and Plasma panels, in combination with acoustically and performance adequate speaker systems, driven by proper, responsive to demand separates or integrated components (receivers, amplifiers, and source components). 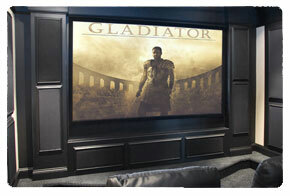 Suitable for hi-end home entertainment or effective boardroom environment. Multi-room Music design in respect to the needs of the client, can bring satisfaction and required functionality to home or business, through ability to play different sources of music in every space. Creating separate environments in every space of your office and bringing serenity to your home through hi fidelity sound. Access Control and Surveillance Systems provide piece of mind, and security in residential space. However when designed for commercial use based around active and passive RFID technologies in conjunction with video surveillance provides robust access solution that tracks your personnel movement, prevents intrusion and elaborate inventory control. Please click through each section for more information. Lighting and Automation services is complex in design and programming computerized control systems for anything electrically powered (e.g. lights, thermostats, blinds, fans, electrical door locks, garage door openers and even coffee makers), however bearing an endless list of benefits, from simply comfort in operation to real saving on your electrical bill. An automation in commercial environment through deployment of sensor networks and dimming switches is the first step to green initiative that would benefit your pocket and stop waste to your electrical usage. In the office setting your conference room automation, besides an impressive statement, it is also robust answer to your presentation or collaboration practice. In residential use again besides saving on the electrical bill, automation creates one of the kind convenience features.